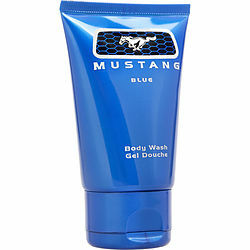 A resonant and enticing scent for men that radiates casual sophistication for any time of day, Mustang Blue cologne is a moderate and very manly fragrance that will turn heads wherever you travel. Introduced by Estee Lauder in 2008, Mustang Blue expertly combines a broad variety of notes including lemon, bergamot, cypress, clove leaf, black pepper and geranium. It's an evocative scent that works just as well for a night on the town with the guys as for a quiet dinner for two.